What is Gift a Book Day? 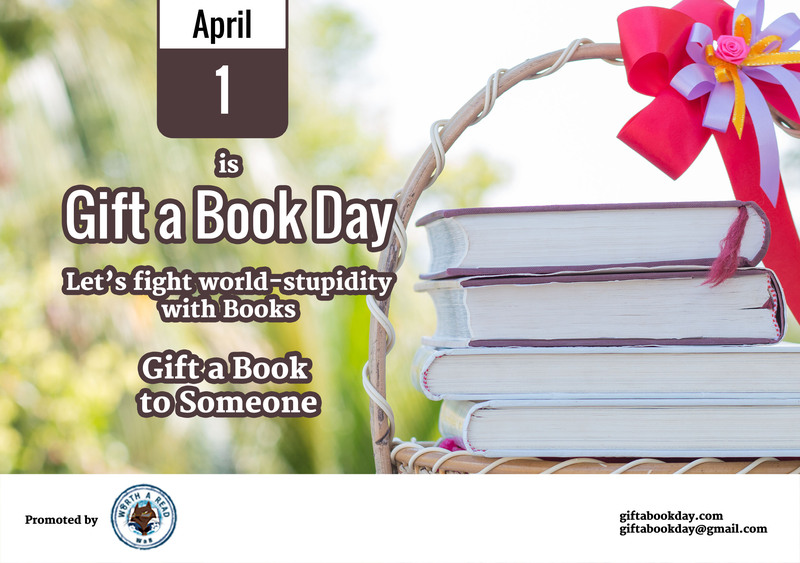 Gift a Book Day is the occasion to celebrate books with your loved ones, friends, family and even strangers. April 1st is Gift a Book Day. Gift a book to someone on this day. How to Celebrate Gift a Book Day? Choose the people you want to gift a book to. Buy a book for them. Gift it to them on April 1st. If you have to send the book by the post, try to send it at a time so that it reaches around that date. Then send us your stories, selfies, or photos of the recipients with the gift! We’ll feature them on our blog. We are available at giftabookday@gmail.com. How to Select the Books to Gift? You could, of course, gift them a book that you really like. But if you don’t want to do that, or if you are not much of a reader to have strong favorites, here are some other good ways to choose a book. Check the person’s goodreads profile and pick up a book from their to-read or to-buy list, if they have one. Else look around for their favorite genres and authors on their social media accounts (goodreads, facebook, twitter) and pick up a book close to those. You can also pick up a book from Worth a Read’s monthly recommendations. Anyone you fancy. Your parents, spouse, children, friends, relatives or even strangers. Should I gift a book to one person only? Not at all. It’s not the spouse day. Gift books to as many people as you want. Because books are the best gifts and we can’t gift them enough. Not convinced? See what great minds think! The folks at Worth a Read who love books.